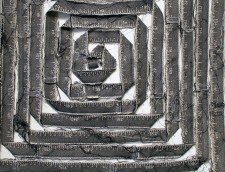 Heather MacKenzie is an artist, writer, and educator from suburban Detroit, MI. 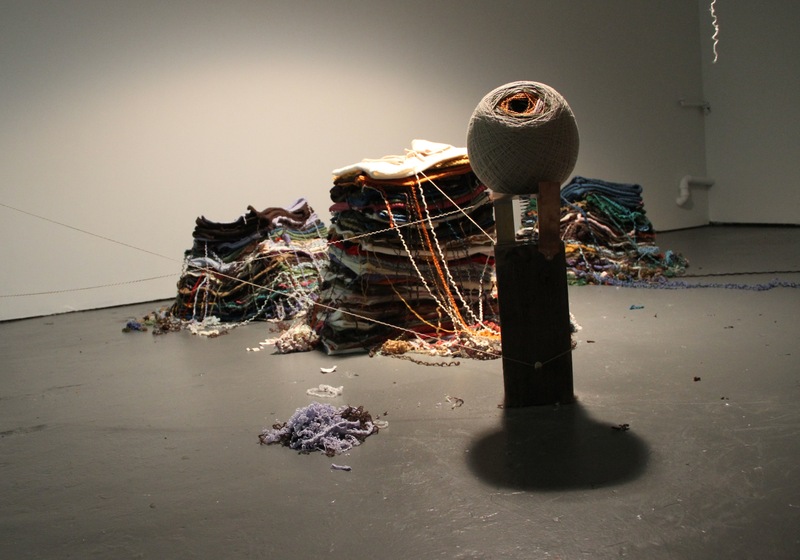 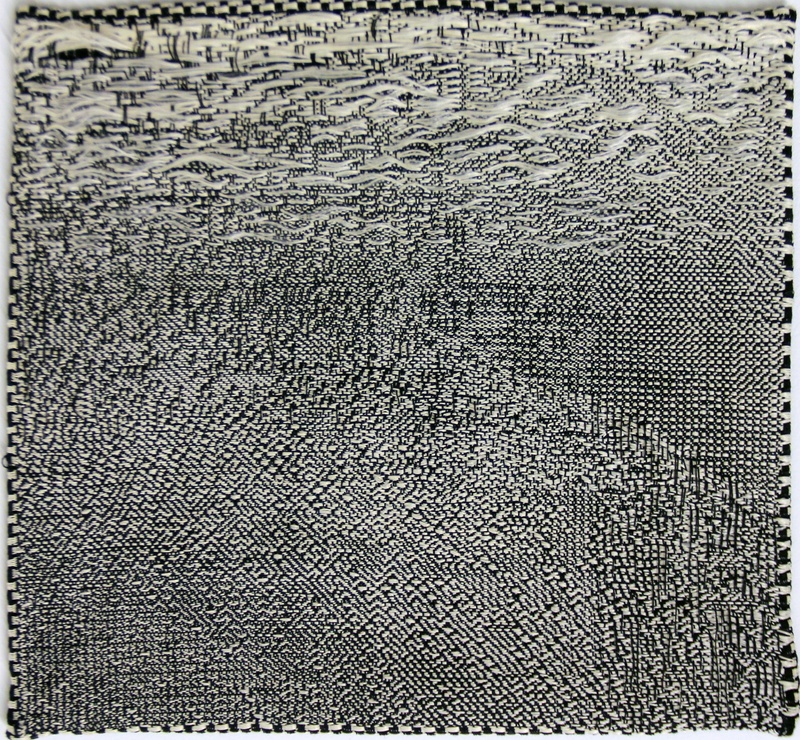 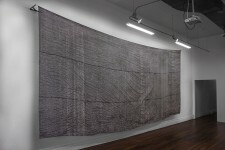 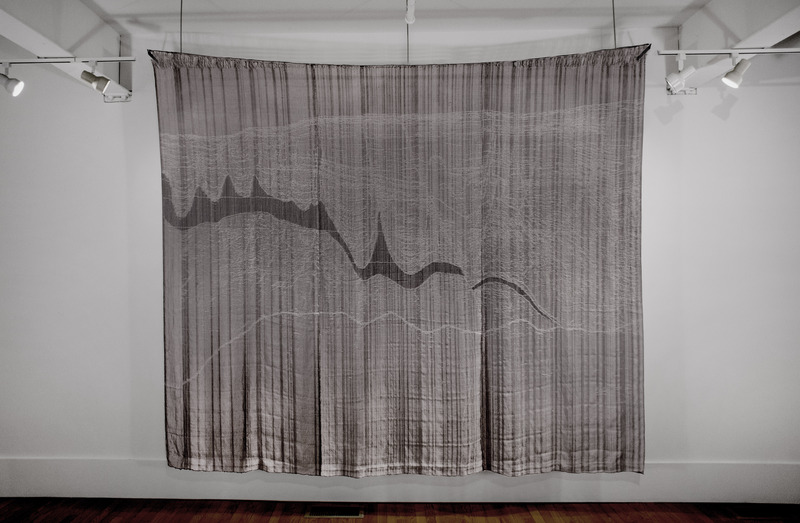 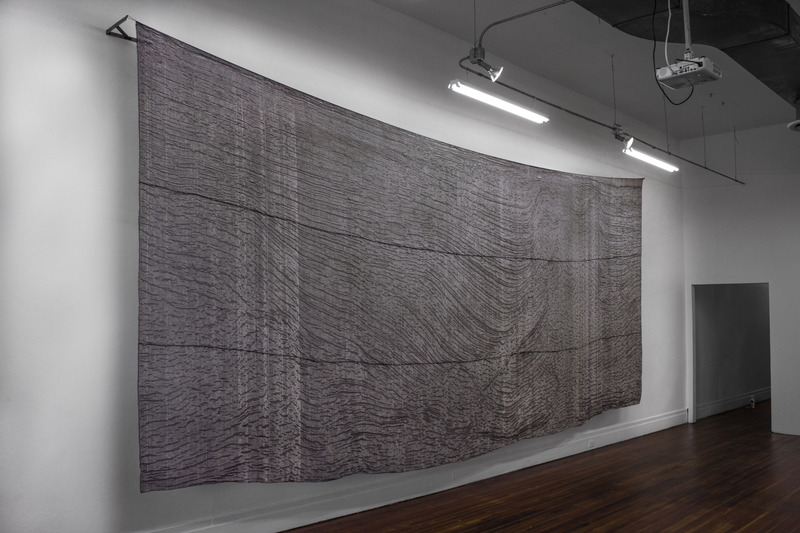 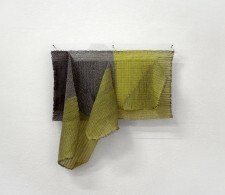 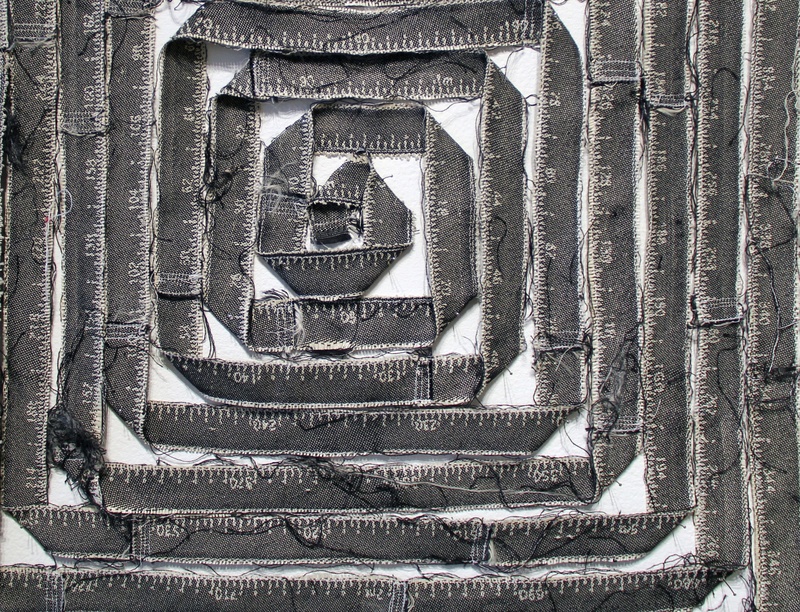 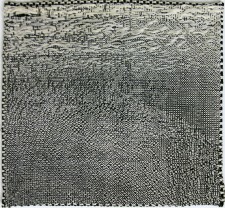 In her work, Heather looks to the textile as a foundational piece of human technology that is sensual and material while simultaneously embedded with complex mathematical information. 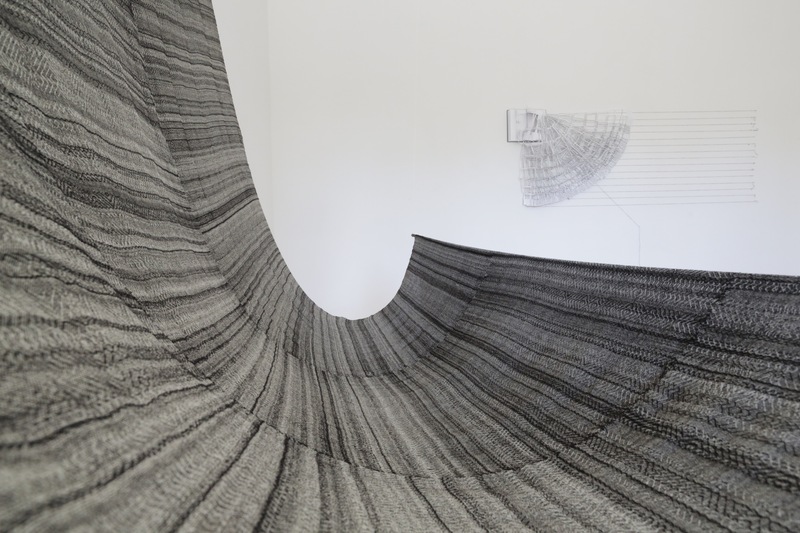 In two- and three-dimensional work, as well as performance, she examines other, equally foundational systems that span the material world and the abstract one: platonic mathematics, Euclidean geometry, and standardized measurement. 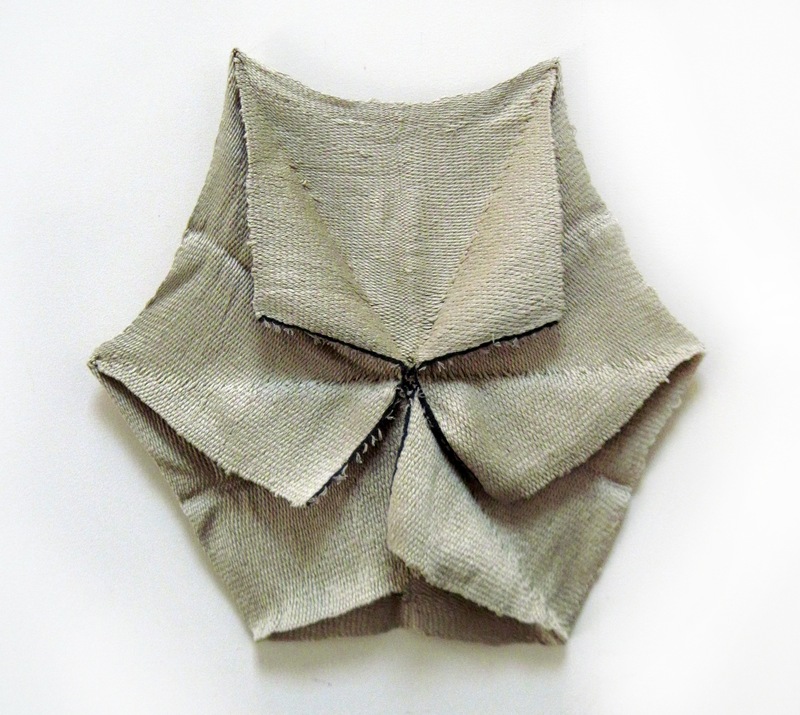 Last year, Heather acted as the Fountainhead Fellow in Craft and Material Studies at Virginia Commonwealth University in Richmond, Virginia. 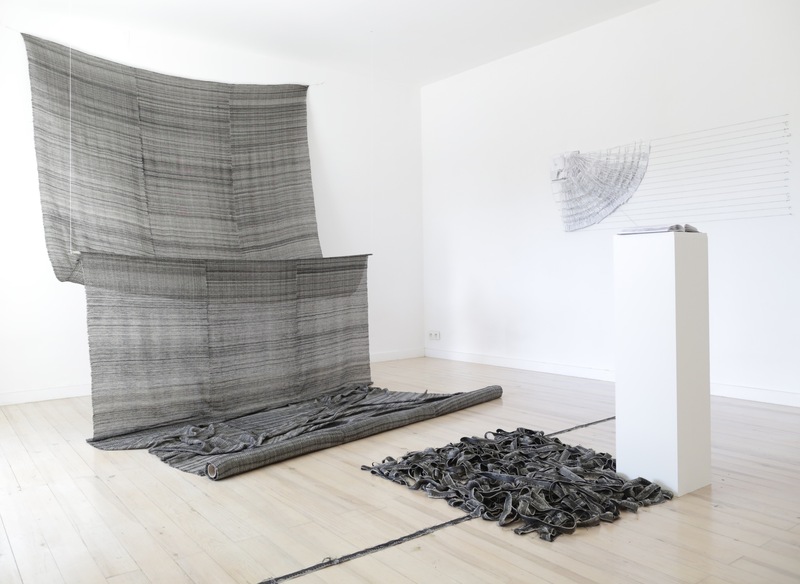 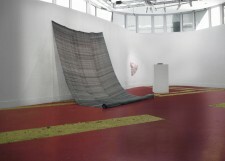 During the previous academic year of 2014-15, Heather was a Fulbright Fellow in Paris, France, where she produced work and had a solo installation as artist-in-residence at l’École des Arts Décoratifs. 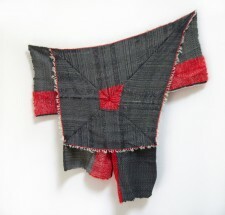 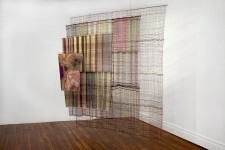 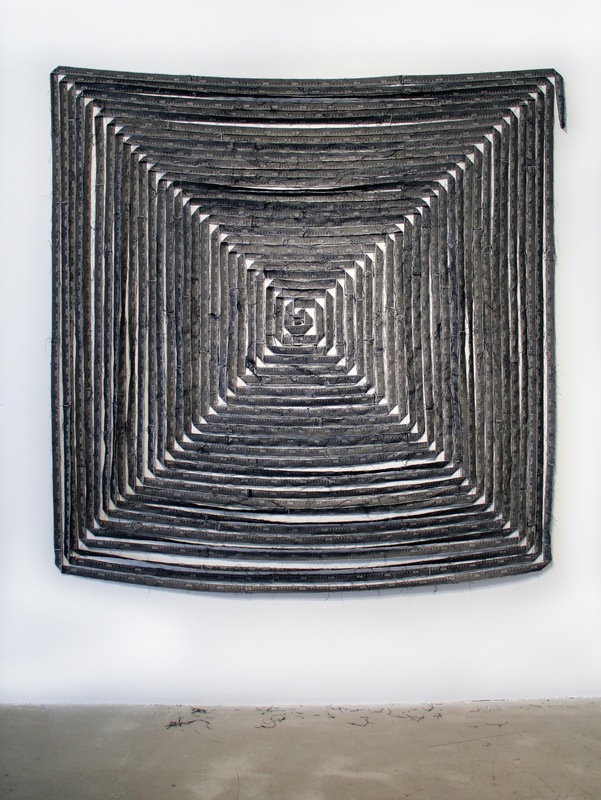 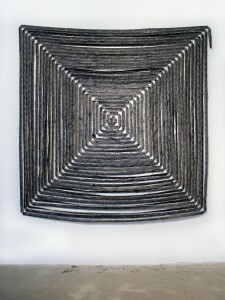 She has studied traditional textiles in Ecuador, Ghana, India, Zimbabwe, as well as in Europe, and she has exhibited work recently at venues including the Mission Gallery and Rhona Hoffman Gallery in Chicago, and PointDom in Toulouse, France. 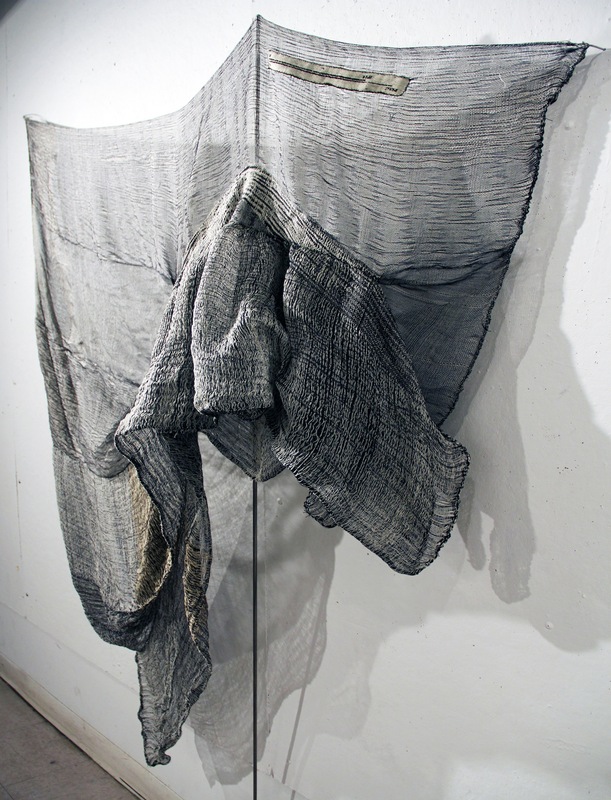 Heather received her BA from Brown University and her MFA in Fiber and Material Studies from the School of the Art Institute of Chicago. 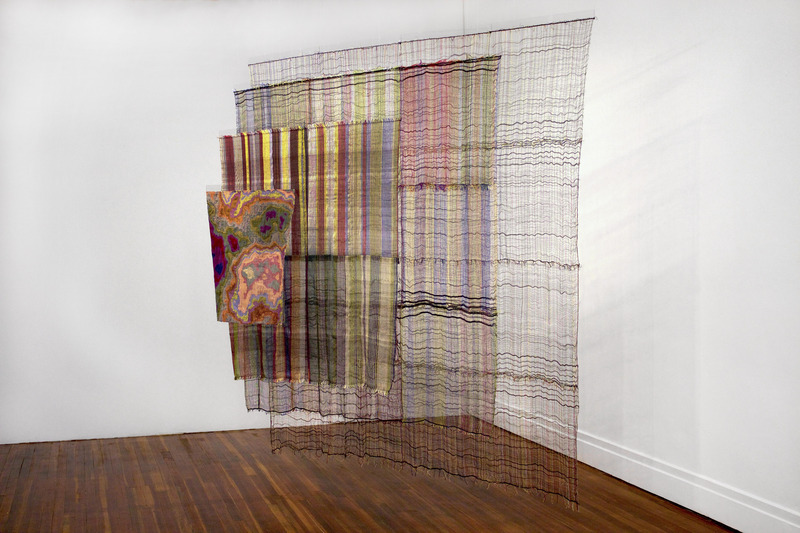 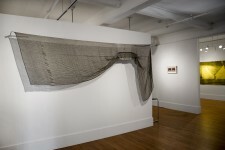 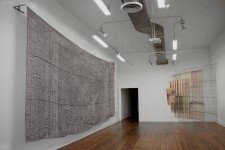 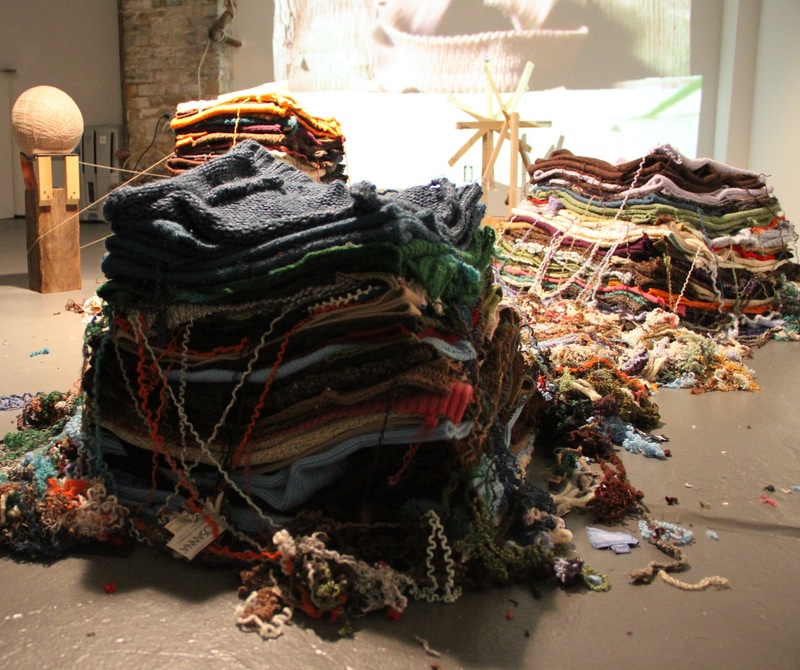 Compressed Reflections (installation shot) Compressed Reflections: solo show of textile works at Sediment Gallery, Richmond, VA.
Unit “Feu” (installation detail) Year: 2015 Medium: Wool, polyester, paper Size: 2.4m x 10m (bolt of cloth), 40cm x 1m (book) Hanging in the foreground is a textile whose woven structures transcoded a portion of Emilie du Chatelet’s manuscript “A Dissertation on Fire”. 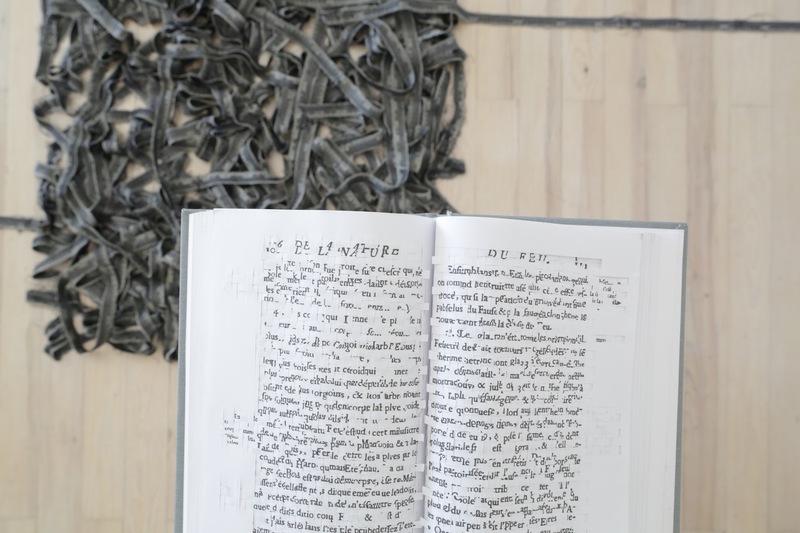 On the wall behind is the dissected manuscript of Voltaire on the same topic. 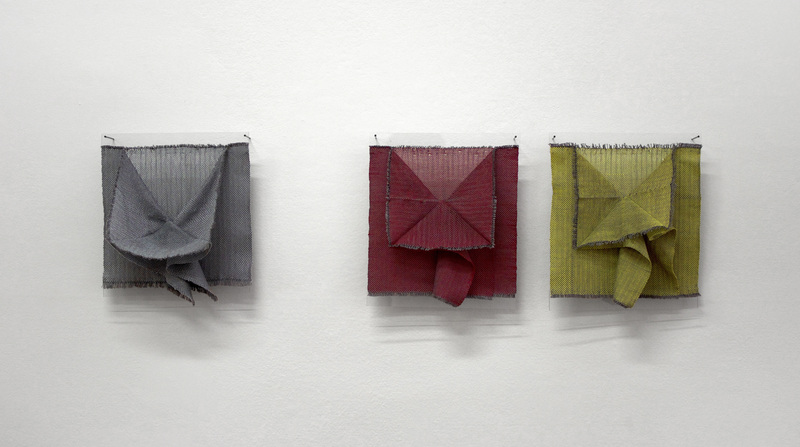 Unit “Feu” (installation detail) Year: 2015 Medium: Paper, cotton, polyester Size: 15cm x 18cm (book); 1m x 1m (tape measure) Here again is Emilie du Chatelet’s text “Dissertation on Fire”, with pairs of pages woven together in a simple twill. 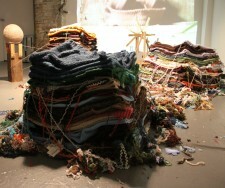 Unit “Feu” (installation at the School of Decorative Arts) Year: 2015 Medium: Earth, paper, wool, polyester Size: Installation Using earth that I excavated from the grounds of the Bureau of Weights and Measures, I created a scale floorplan of its principal building with the altered manuscripts of Emilie du Chatelet and of Voltaire appropriately occupying the chemistry lab. 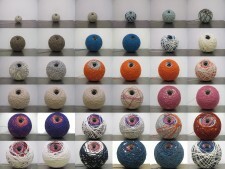 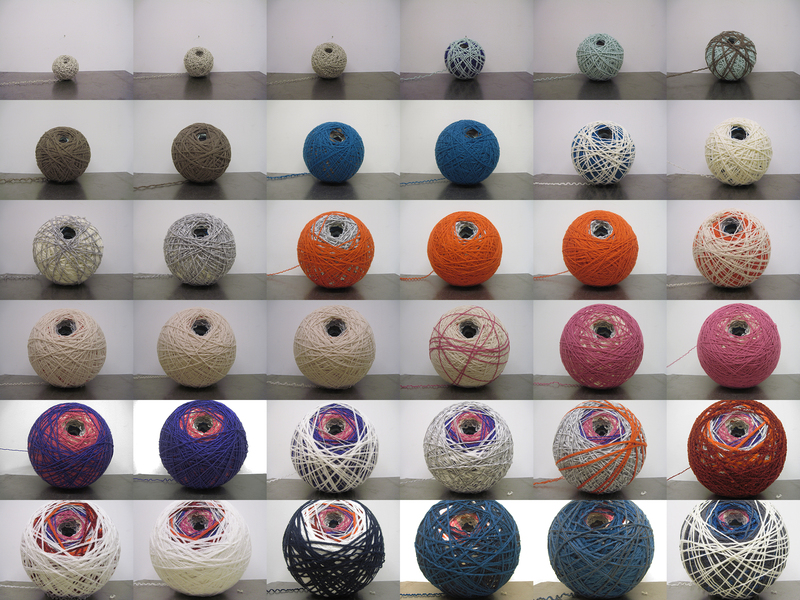 Acrylic, 100-yard takes Year: 2013 Medium: Digital photo Size: variable Here I document my recuperation of acrylic yarn from discarded sweaters; each frame documents 100 yards of reclaimed material. 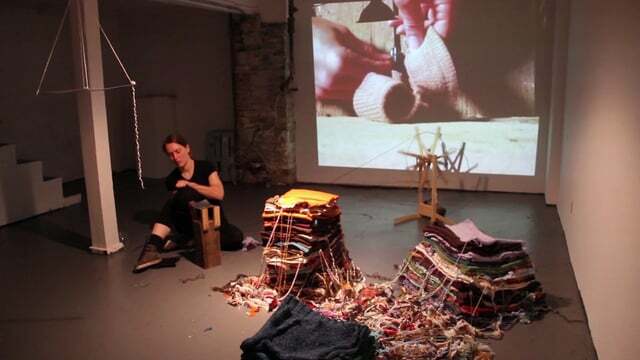 FATHOM This video is documentation from a six-hour performance that took place during a month-long exhibition. 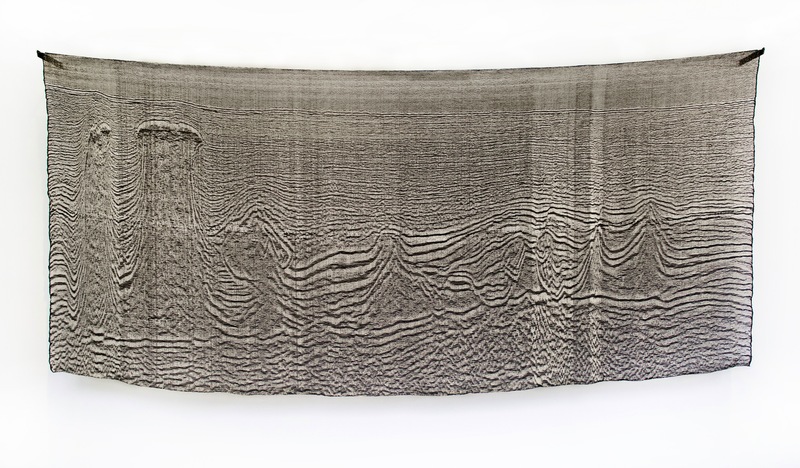 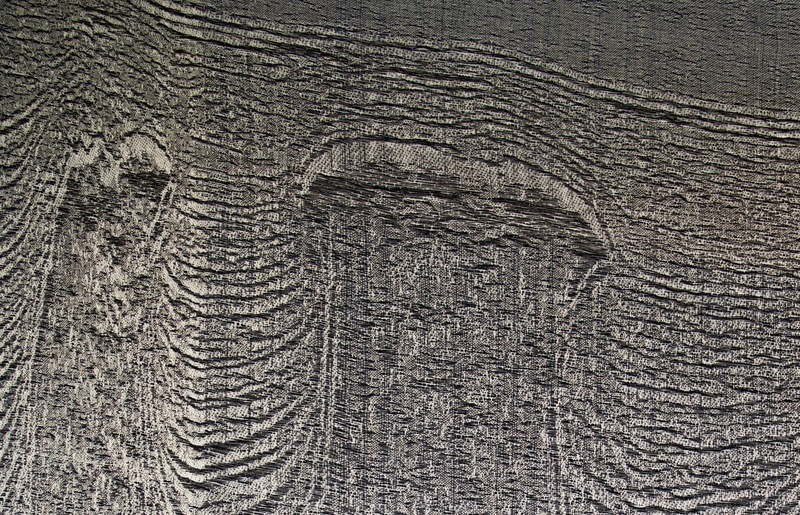 FATHOM is a bodily investigation into acrylic fibers and their petroleum roots. For Penelope This video loops the unraveling (and regrowth) of the hem of an acrylic sweater.